Conveyor Components Conveyor is a material handling equipment used widely in industries for transporting goods from one location to another, or one production machinery to another. There are many kinds of conveyors that befit the application requirements. As the design and functionality requirement of each conveyor, there are different components. 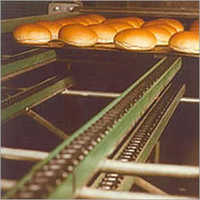 Our company designs, develops and delivers conveyor components for several types of conveyors. We can fabricate standard and bespoke conveyor components of different material, from plastic to metal alloys. The clients from food & beverage, mining, logistics, paper, paint, pharmaceutical and more can contact for placing an order.